Geek Girls Rule #175 – Old Man’s War – Geek Girls Rule!!! 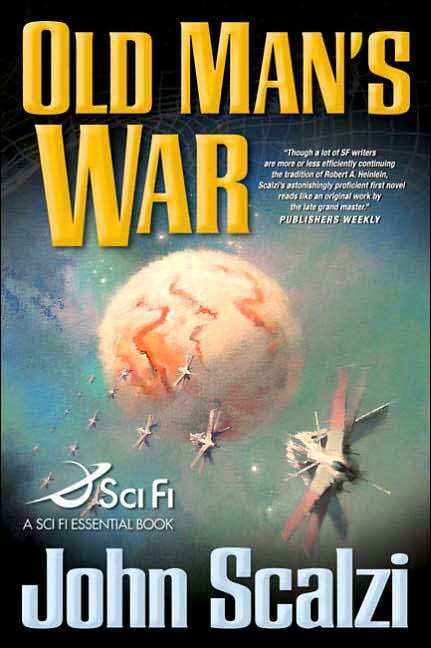 I just read the Old Man’s War by John Scalzi. Yeah, we’re back to reviewing books that have been out forever. A friend loaned these to me awhile ago and I just got to them. I’m kind of annoyed at myself for having waited so long to get to them. In an indeterminate future, not so different from our own except that it is a world with space colonization by virtue of “skip drive” technology. In this world, when people reach 75 years of age, they may enlist in the mysterious Colonial Defense Force to protect the colonies from the alien races humanity has come in contact with. It seems that most spacefaring alien races share one over-riding characteristic with humanity: they’ve all outgrown their home worlds in some way and require room for their populations or have stripped their home worlds of resources. And the majority of them are just as aggressive about expanding and holding what’s theirs. No one knows why the CDF wants senior citizens, or how they use them, but they sign up anyway, as the only way most US citizens will ever get to space. The main character, John Perry, is widowed, and decides to go ahead and join the CDF on his 75th birthday. He goes up and discovers the secret, that their consciousnesses are put into improved, cloned bodies, and trained to fight anything they come up against. Perry discovers he has a talent for fighting, and finds himself quickly embroiled in than he bargained for. Again, I’m not a fan of spoilery reviews, so I won’t do that. But Scalzi does a fantastic job of the dialog between the older characters. Women are equal participants and combatants in the CDF, and equal sexual aggressors. The alien races are pretty interesting, and I like the fact that he makes the cute and pretty aliens the most dangerous. I just started the second book, The Ghost Brigades , and it’s promising as well. I’ve got more book reviews coming up for you in the near future. Although, apparently I’ll have to suffer through until September for the next Seanan McGuire book. Glad you’re liking them! Keep in mind that books 3 and 4 cover the same events as each other, from different points of view. Also, not much Perry in book 2. Let me know when you’re finished with them, and I’ll work out how to come over and get them. Scalzi has a great blog, too, if you haven’t discovered it yet. Very entertaining man who also focuses on issues relating to scifi/fantasy. Next Post Geek Girls Rule! #176 – Other People Have Played Duke Nuke ‘Em So No One Else Has To.